My Crafting Channel: Silhouette Challenges: Ch# 27 (Anything Goes) "Gift Bag"
Silhouette Challenges: Ch# 27 (Anything Goes) "Gift Bag"
It's time for our mid posting over at Silhouette Challenges. For this challenge I created this adorable little gift bag. Cute bag!! Love the little bride and groom! This is super adorable Nana!!! Aaaw, what a sweet gift bag! I love the precious moments little bride and groom! So adorable Nana! Very sweet little gift bag! Love the image. Such a darling gift bag!! Sweet image! Wonderful and adorable gift bag! TFS and have a wonderful weekend. What a wonderful gift bag!! Love the adorable image!! Have a great day. 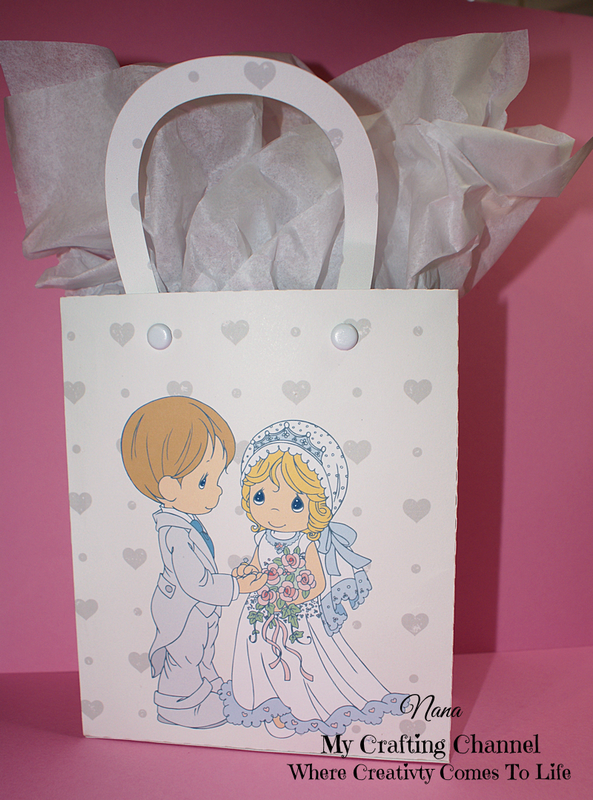 Such a pretty gift bag, fit for a wedding couple.